Terra Banat is a premium hemp oil manufacturer and supplier. 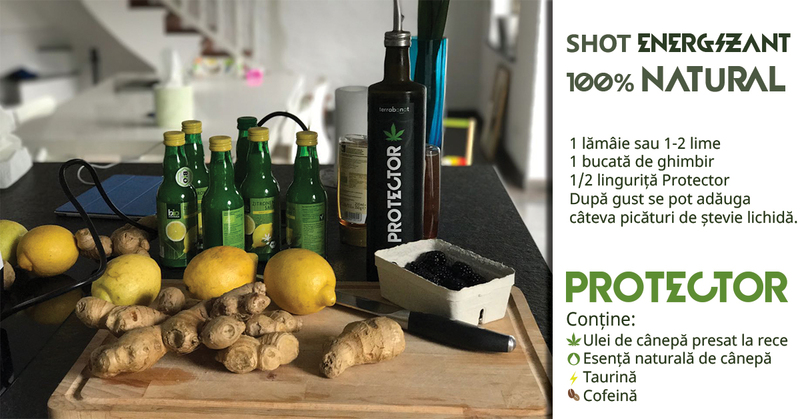 Their products are 100% Romanian and natural, the seeds being grown and processed using modern presses in Romania. We are talking about a perfect combination of the traditional with new technologies, capable of producing high-quality products. Our client asked for a modern yet friendly logo and easy to get remembered. Beginning from the company’s name and it’s work domain we started to select typography and colours. This time we chose to play with typography a little bit and we made this logo friendly yet modern and at the subject. We had to point out the fact that their products are organic so for colour we chose dark grey and green for that extra touch of “green” and natural. We crafted for Terra Banat Company a modern and friendly logo. Inspired by the products and ideas underlying the manufacturer. The logo was crafted with a maximum attention for the fine details and respects all the requirements. 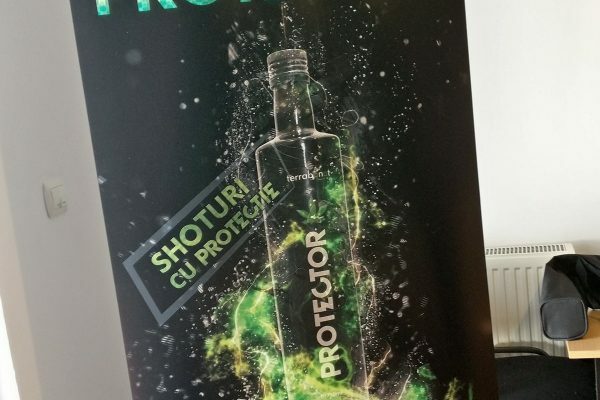 This allows the company to use the design in whatever medium they desire – be it digital or printed media – without compromising on quality and proper representation of the brand. Also, it was shipped in four variants for every environment. For Terra Banat Company we have developed a responsive online store with a story. Because we only make custom designs we always get to know the company history and ideas. Terra Banat is a premium hemp oil manufacturer and supplier. Their products are 100% Romanian and natural. The hemp seeds are being grown and processed using modern presses in Romania. We are talking about a perfect combination of the traditional with new technologies, capable of producing high-quality products. Our client wanted like the website to represent the company and the company’s beliefs. 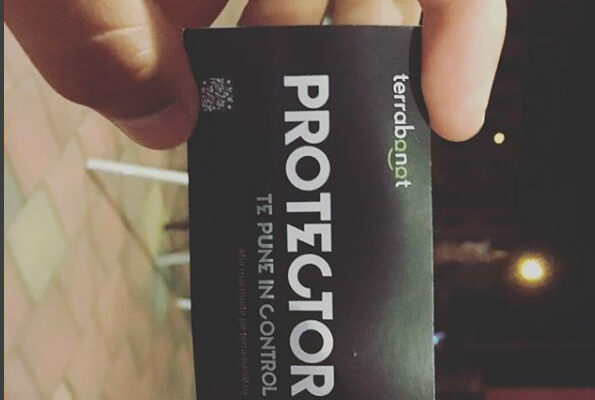 With a premium and personalized look, the store manages to present and sell Terra Banat products while strengthening the brand on its niche. Using a modern platform and an easy to navigate layout design their clients can view all the Terra Banat products and the whole manufacturing process. Correctly aligned with the Terra Banat image, the store presents all the basic information about the company’s products in an interactive way. Displayed correctly on any device, the store is easy to use and intuitive. 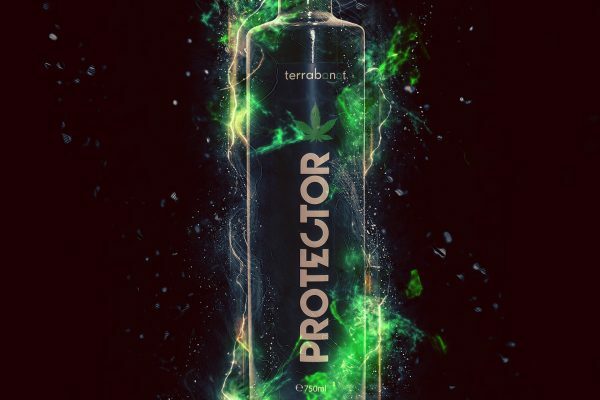 We crafted the labels design for Terra Banat products: hemp oil and Protector bottles. 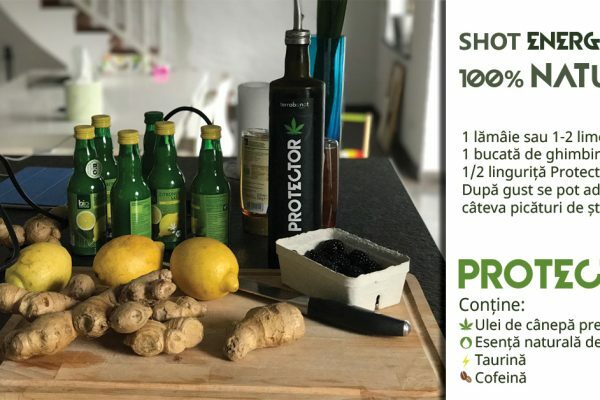 A clean, minimalist and premium look for 100% natural products, carefully grown in Banat. A design that successfully represents the quality and the passion with which the products the Terra Banat products are made. A product on the shelf, for instance, has to draw the eye towards it in this highly-competitive retail world where there’s no room for error. We designed eye-catching artwork that represent the company beliefs, with attention to detail and layout. We delivered the labels in vector formats (.ai, .pdf, .eps) and in raster formats (.jpg, .png) together with previews along the project. Thanks to a successful collaboration with Terra Banat company we were able to get the desired result. 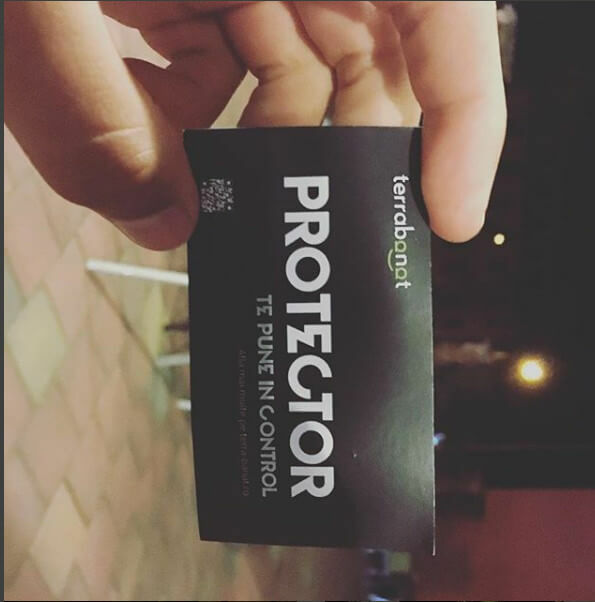 We have crafted for Terra Banat and their Protector product a design in line with the brand for marketing materials used to launch Protector. 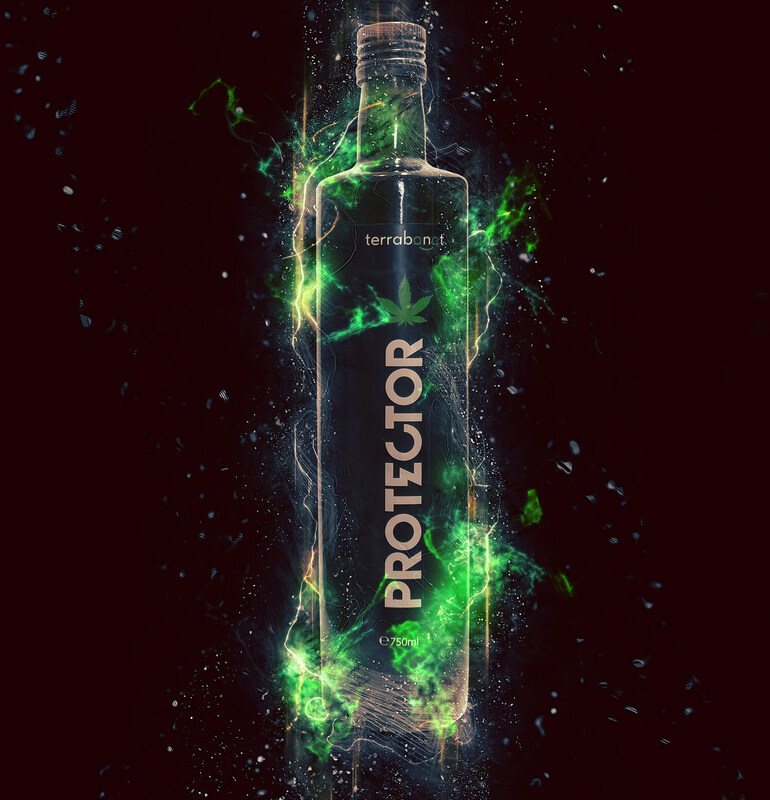 Protector contains hemp oil essence, taurine, organic hemp oil and caffeine. 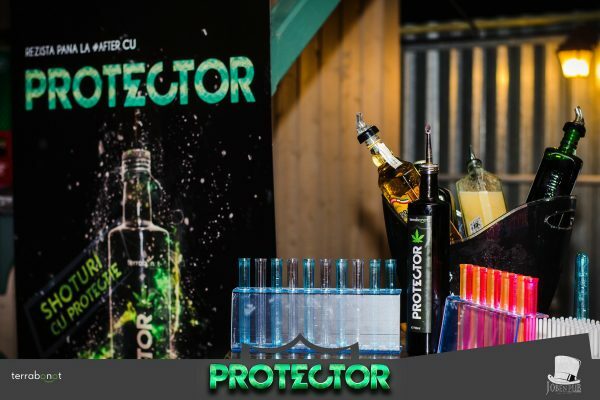 It can be mixed with alcoholic or non-alcoholic drinks. Perfect at any party. 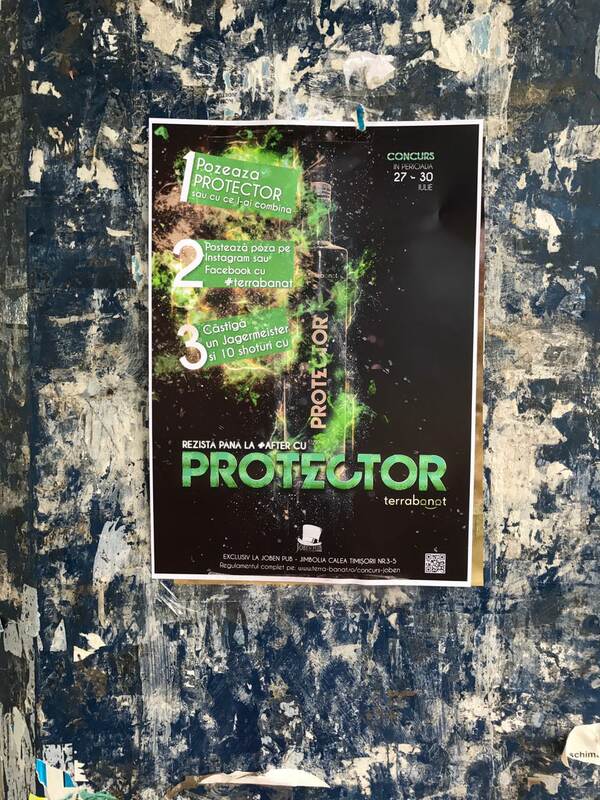 The materials were made print-ready and suitable for the online media – promotion in social media (Facebook and Instagram). 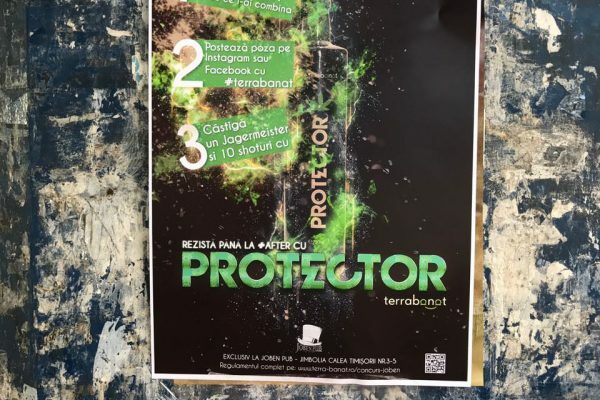 We also made a video ad for Protector from Terra Banat. Based on product’s futures we made a ad that tells a story and get right to the point. Within the first few seconds it grab people’s attention. 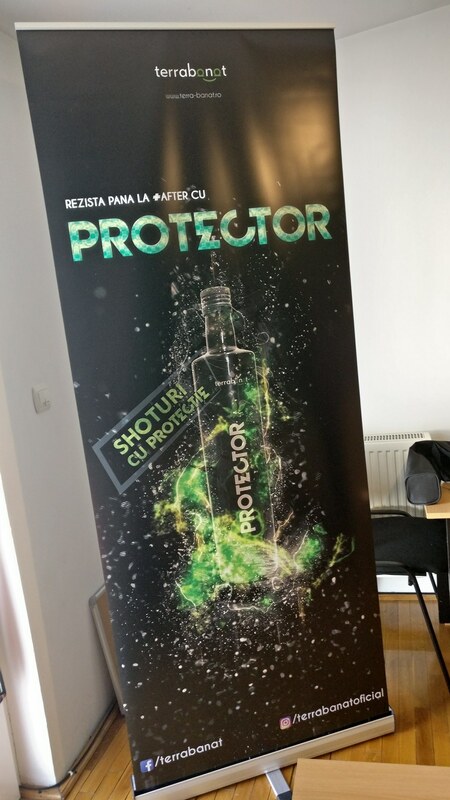 In the video clients can see where, what and how to drink Protector shots. We also managed social media accounts alongside a local contest organized by the hemp manufacturer. Do you want to have a powerful brand? We have the required experience and expertise in order to handle the most complex branding projects. Contact us now so we can talk about your brand's requirements and to receive a personalised offer.